For most of northern Kenya the long rains aren’t actually any longer than the short rains. This year the long rains (arriving somewhere from late March and rarely staying beyond the first week in May) have been looked for with more than the normal amount of anxious anticipation. Across the north the short rains (usually occurring between late October and early December) were very poor, or failed completely. This disappointment came after an especially harsh long dry season, where many people lost livestock. The livestock that survived, to stagger through the scarcely wet short rains and the subsequent dry months until now, are a skinny and desperate lot. Good rains were needed this April to save their lives and see them through the coming six months with out rain. So far, for most across the north, the rainfall has been far short of what was needed. The rains are forecast to end for most northern areas in about a weeks time. With some places having seen no more than a couple of light showers, things are looking very grim indeed. It is hard to imagine, if you have never done it, what it is like to watch your livestock slowly starve to death. If you are a pastoralist here your livestock is your livelihood, your business and your savings all in one. These are animals that you have nurtured and loved since you helped their mothers with their birth. Animals whose existence feeds your family, pays for medical care, clothes you and sends your children to school. Without them you have nothing, you are nothing. Watching these animals slowly starve, weaken and ultimately lie down one day never to stand again, and a day or two later watching them gasp their last breaths. It is beyond heartbreaking and it is incredibly stressful. Married to a northern pastoralist I have watched our own animals die this way, exhausted with our efforts to keep them alive, and yet nothing in the end could be done to safe them. Anticipating this event, months in advance, as most of us now do, is to know that the next months will be full of effort, likely doomed to failure, and to hours of stress and anxiety. Yet I know that my situation is nothing to that of many people here. Our loss will not be as heavy as theirs. It is desperate efforts to avoid this that drives people to push their weak and exhausted animals over great distances to look for water and pasture. Even though they know that the weakest will not survive such journeys, they hope that by doing so they will at least keep a few animals alive. This desperation to save what animals they can often leads herders to drive their livestock into other people grazing lands or onto private ranches. This in turn can lead to violence. Violence between herders competing for limited water or grazing or, as we have seen over recent months in Laikipia, between herders and private ranch owners. However, despite the news reports they generates, conflict over resources are the exception not the rule. In the vast majority of cases local agreements are made, permission asked for and granted. Everybody here understands the desperation of such times. It may not make the headlines when communities share what little they have with others, but everyone here knows that one day they too will need the same kindness. These struggles to survive in northern Kenya do seem to be getting worse however, listening to oral histories or reading colonial accounts will show you that. Even in the ten years that I have been here I have seen land that was regularly lush, with knee high grass and a profusion of wild flowers, turn into a barren wasteland with barely a blade of grass, even during the rains. It is not hard to find where the problems lie but they are not easy problems to manage. The weather patterns here, as in many parts of the world, are changing. In the past the rainy seasons could be predicted almost to the day. Now they are erratic in timing and in quality. However this is a problem that mobile pastoralists are better adapted to than most. They have a history and culture developed around moving with the rains. Though weather patterns are much less reliable than they used to be, this is a relatively easy problem for them to overcome. At least it would be if their movement hadn’t been so much curtailed over recent years. The best land, the dry season grazing with reliable year round watering points, has gradually been taken up into private ranches. Fences have been erected and, especially near year round water sources, urban settlements have developed and spread. Northern Kenya has one of the fastest growing populations in the world and this is possibly the biggest problem facing pastoralists. There is a minimum number of animals needed to support each person in this livelihood, so more people mean more animals. 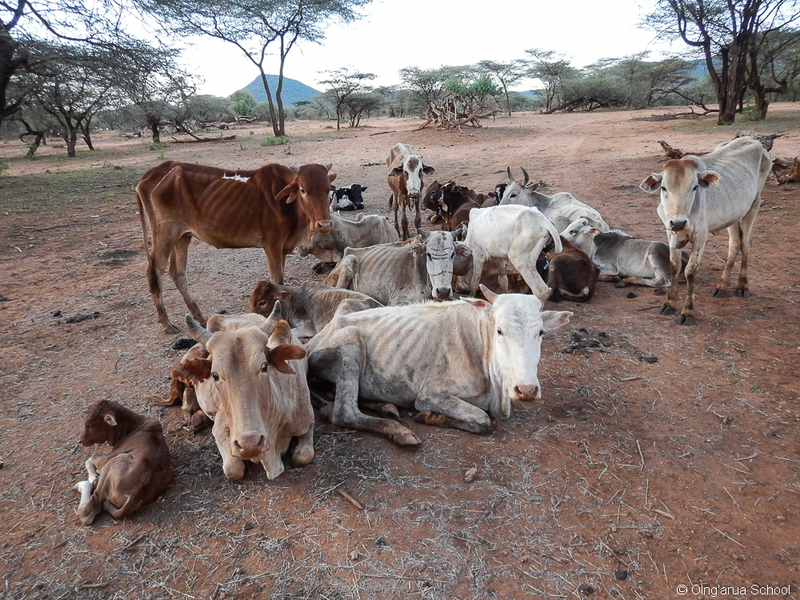 Most parts of northern Kenya simply have more livestock than the land and climate can support. 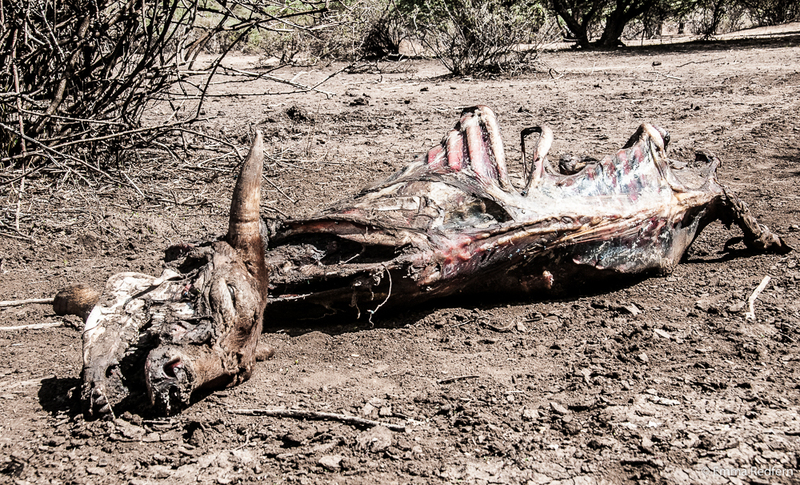 This leads to all the problems associated with overgrazing; land degradation, destruction of water sources, spread of diseases and alteration (or destruction) of the local ecology. Population growth is one of the most difficult problems to tackle anywhere. In an area as marginalized as northern Kenya it is hard to imagine that it can be tackled at all. The means of reducing population growth is though development, provision of key social services and good education at all levels, things that are barely in evidence here. Many agencies for development, both governmental and NGO, have trumpeted agriculture as a solution to pastoralist problems in the north. Telling people to give up their livestock and turn instead to growing food to feed their families. The people of northern Kenya are not stupid, if it was that simple I can assure you they would already be doing it. 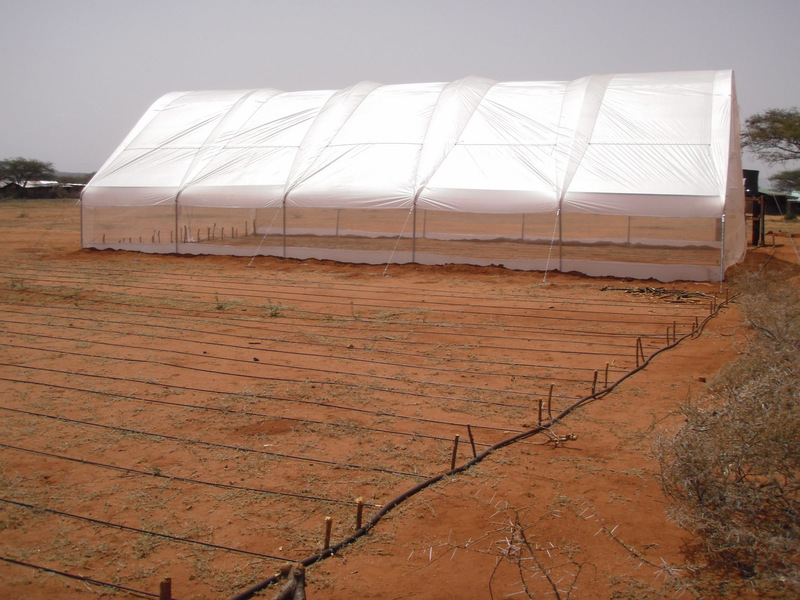 When rains are regular many people plant rain fed crops at some point in the year. Those who live near year round water sources, rivers or springs, also plant crops to supplement their livelihood from livestock. However, for most people in the north, this is not an option. Over the last ten years I have watched many organisations setup agricultural programs here, but to maintain them successfully requires a level of financial commitment simply not realistic outside these flagship projects. It is not just lack of good water (much of the ground water is extremely salty), in many areas the soil simply isn’t up to the job either. With ample funding you can make even a desert productive, but there isn’t ample funding. 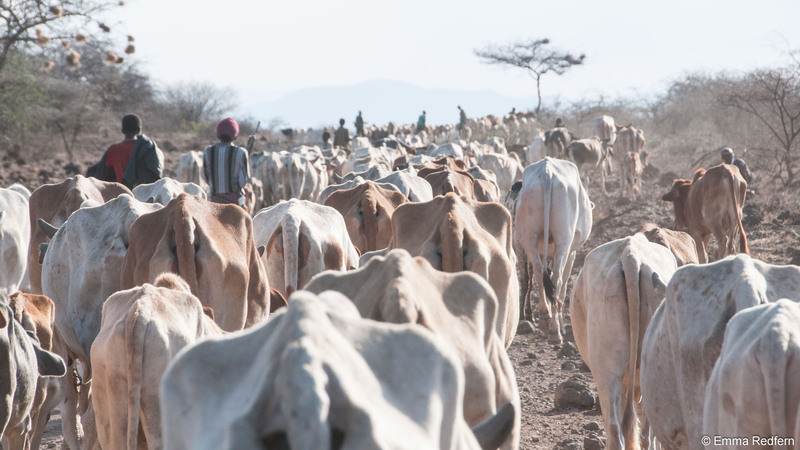 For years academics and dry-land experts have been saying that pastoralism is the best and most sustainable use of the land in northern Kenya (and across much of the Horn of Africa) but still few of the main actors here, in government or development, seem to be listening. 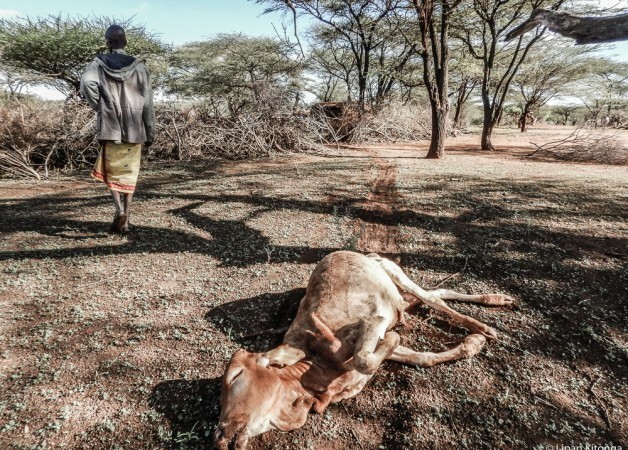 Very little time and money is put into helping develop sustainable pastoralism in the modern environment, and the development of key social services lags years behind that of other part of the country. This is likely in part because it seems that the government constantly underestimates the value of pastoralism to the economy. As a mobile livelihood, rather than discrete and stationary business, and operating in a vast area far from centres of administration, it is easy to see why it is much harder to calculate the true value pastoralism adds to the economy. Though academics and experts from institutions such as IIED have done just that. So, with too many animals and too little grass, the dismal long rains of 2015 look likely to be the last straw for many pastoralist families. Families who, in a few months time, seem set to find themselves on the edge of one of the ever expanding urban slums; waiting for food aid from a charity, children malnourished and uneducated, having lost everything but their lives. Some may lose even that.